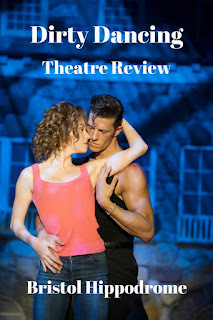 When I first heard about the stage version of Dirty Dancing, I was really curious as to how they would handle some of the bigger scenes from the 1987 film. It might have been 30 years ago, but it's such a classic that I still watch it now and again, so was very aware that there would be some challenges for the production team. The stage show has enjoyed three successful West End seasons and is now midway through a nationwide tour, taking in no less than 16 UK towns and cities. So how does a dance-based film, with a large cast and many iconic scenes, filmed in some diverse locations, transfer to the stage? We received free tickets for our review, which will hopefully provide the answer. I have to say, the first thing I noticed about the show is that it was really loud! 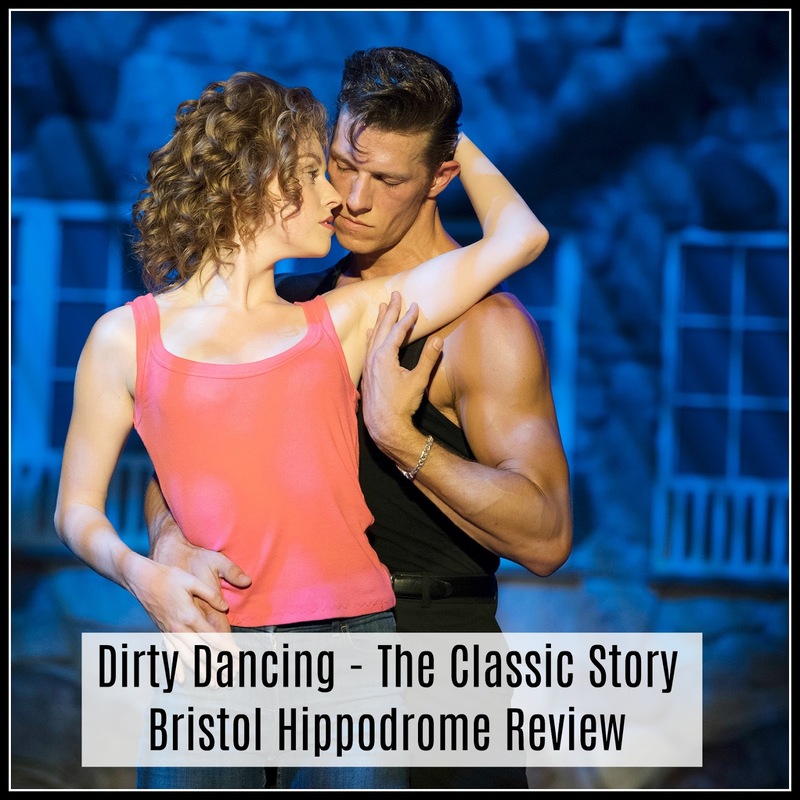 I don't know if it's just that the Bristol Hippodrome is quite small, but there are a few big singing numbers, not to mention some unexpected thunder claps, so be prepared for that, if you are a bit jumpy, like me. The scenery wasn't very complicated, but it really worked. It didn't take long before I was fully emmersed in the world of Kellerman's Holiday Camp in 1953. 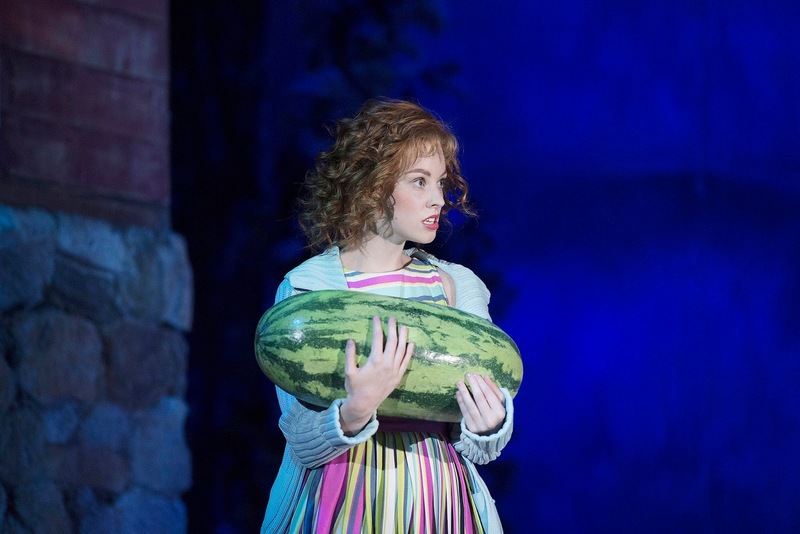 The story centres around Frances 'Baby' Houseman (Katie Eccles) and Johnny Castle (Lewis Griffiths), the unlikely couple made up of a naive, middle class, 17 year old girl and a working-class dance instructor, who are thrown together thanks to Baby's curiousity and kind nature, and of course those watermelons! Both the lead actors were captivating in their roles. The dancing was superb and the chemistry between them completely believable. The two are supported by an impressive cast, who bring an additional dimension of variety and fun to the production. I was particularly taken with Dr Houseman, played by Julian Harries, who embraced the part of Baby's doting father with compassion and humour. It's a real tribute to someone's acting prowess when they can approach a dramatic, challenging scene, with all the conviction and anguish required, yet bring laughter in a later scene, with a simple raise of the eyebrow or glance at the audience. Other notable performances included Michael Kent, who played Billy Kostecki and Sophia Mackay, who played Elizabeth, who both provided some impressive vocals during the singing numbers, as well as bringing their characters to life with vibrant, sunny performances that lit up the stage. It's fair to say, this is a show that doesn't take itself too seriously, but it doesn't really need to. All the key moments and scenes were there, and, if anything, it was more of a homage to the original film, rather than an accurate representation. I feel this only enhanced the performance, though, and the producers, and actors, affection for the original film really shone through. There was opportunity for comedy and Lewis Griffiths in particular did not miss any chances to ham-up his fairly stereotypical 'young 1950's male' character! In my view, if you want to see a carbon copy of the film, watch the film, but if you are more inclined towards a good-natured representation of the film, with all the classic moments, and the same spine-tingling ending, brought to life with well-rounded performances from the whole cast, this is the show for you. Click the link if you would like to read our previous Bristol Hippodrome review of Gangsta Granny. 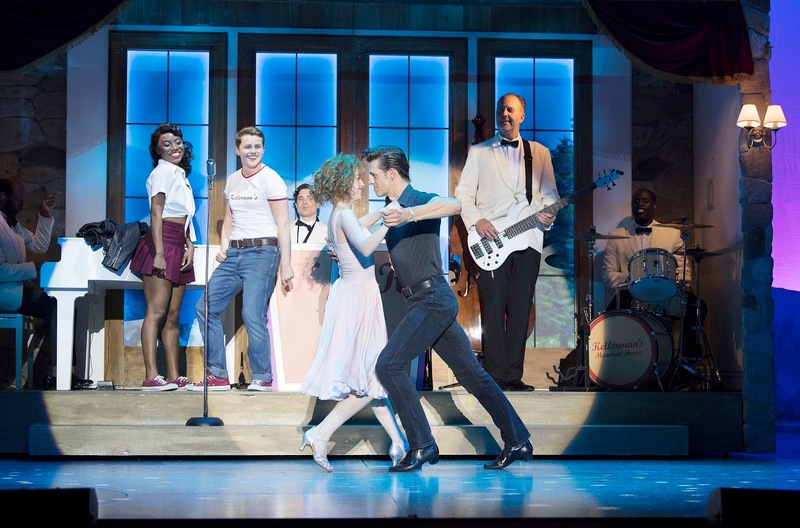 I've never seen Dirty Dancing but this looks like a feel good night out. Considering it's thought of as a classic, you'd think it would be on TV more really! Oh I'd love to see this to see how they've handles the adaptation. That was why I wanted to go! it was really interesting in that respect. I have a real soft spot for the film, so I think I would enjoy this production. I should take my kids to the theatre in Bristol as we are only an hour away and we always love spending time there. I took mine to see Gangsta Granny and he loved it! I think it's a great experience for children. I was surprised at how funny it was actually, I was expecting to laugh so much! I was living abroad when the film first came out so I missed everyone raving about it. One of my friends couldn't believe I hadn't seen it so she made me watch it (probably rented the video from BlockBusters! )and I fell in love with it (I was already in love with Patrick Swayze though! ), such a great film. Blockbusters, ha ha, those were the days! Hope you remembered to rewind it when you took it back! It's such a classic, it brought it all back! I thought that too, and it was a little strange at first!